Home Tags Posts tagged with "Nimrat Kaur"
Fans, critics and filmmakers have curiously been waiting to see what Nimrat Kaur decides to do after making a stunning debut in The Lunchbox. She sprung a surprise by signing up a season of the award-winning American TV drama series Homeland, which earned her further accolades. Her other film, Peddlers, does not seem any closer to a release two years after it premiered at the Cannes film festival, but the Delhi girl is not waiting. She has begun shooting for her first big budget Bollywood thriller in Mumbai. In director Raja Menona��s Airlift, Kaur plays a millionairea��s wife, enjoying a privileged life and designer riches. Her character, Amrita, is married to billionaire Ranjit Dayal, played by Akshay Kumar. Airlift is based on the true story of a businessman who planned the evacuation of Indians trapped in Kuwait when the Iraqi army laid a sudden siege on Kuwait City in 1990. It is regarded as the worlda��s largest civilian evacuation (over 170,000 Indians) and was spearheaded by Kuwaiti billionaire, Ranjit Katyal. The film will be shot in Mumbai, Gujarat, Rajasthan and Ras Al Khaimah in the UAE. Bollywood is visiting Indiaa��s other great passiona��cricketa��through films. Emraan Hashmi has been cast to play Mohammed Azharuddin and Prachi Desai his first wife in a film on the life of the former Indian captain whose career and life have been dogged by controversy. Sushant Singh Rajput, as is also well known, will play MS Dhoni and Sachin Tendulkar plays himself in a docu-drama about his life. Add to this the possibility of Arjun Kapoor being roped in to interpret Kapil Dev on a film on Indiaa��s historic World Cup win in 1983. Now thata��s a lot of cricketing action, Bollywood style. 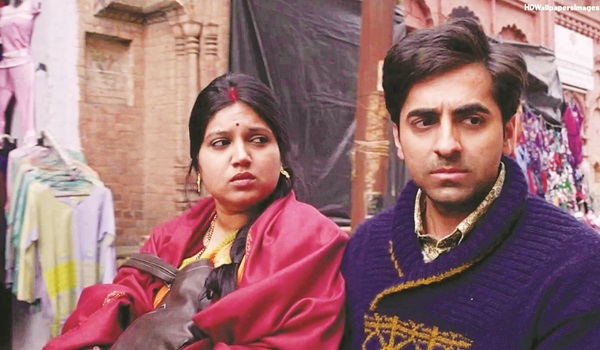 Ayushmann Khurranaa��s last film, Hawaizaada, might have failed to gain flight, but hea��s surely hoping that todaya��s release, Dum Laga Ke Haisha, will connect with audiences. Director Sharat Katariyaa��s film also introduces an unlikely leading lady for a Yash Raj Film that favours svelte heroines like Anushka Sharma, Priyanka Chopra and Vaani Kapoor. Bhumi Pednekar, who was formerly a member of the production housea��s casting department, makes her debut as Prema��s (Khurrana) a�?oversized and mismatched wifea�? Sandhya. Prem and Sandhya make for an odd couple from a small town. No prizes for guessing that the mismatched couple will turn out to be made for each other as Sandhya will add to Prema��s poise! As for Pednekar, shea��s no doubt hoping that some of Parineeti Chopraa��s luck rubs off on her. Chopra worked in the marketing department of the production house before being cast in Ladies Vs Ricky Bahl. Interestingly, it was Pednekar who first auditioned Chopra for the part. 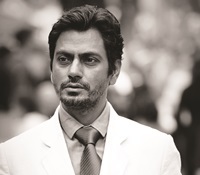 Another The Lunchbox and Gangs of Wasseypur actor Nawazuddin Siddiqui has been making steady and solid strides in Bollywood. First, he upstaged Salman Khan in last yeara��s Kick and last week he outshone the comparatively under-experienced Varun Dhawan in Badlapur. Critics have been almost unanimous in their praise for Siddiqui whose own life story is like a Bollywood fantasy come true. Siddiqui started out in independent films and once declared that he will only act in films where he plays the lead and not compromise on quality. In an interview at the time of the release of Gangs of Wasseypur, Siddiqui told me, a�?Ia��d rather go hungry or go back to my village than do meaningless films. I will do commercial films like 3 idiots, Rang De Basanti, Lage Raho Munnabhai; I will dance and do comedy also, but not meaningless formula films.a�? And then there was Kick! His forthcoming films include Bajrangi Bhaijaan with Salman Khan and Kareena Kapoor Khan, Raees with Shah Rukh Khan and Farzi with Shahid Kapoor. Added into this commercial mix are the smaller budgeted Ghoomketu and Mountain Man.